To most of its members, and society at large, the Hellfire Club is merely a respectable, upper-class social organisation principally devoted to giving spectacular parties where members of social, economic, and political elite could meet unofficially to discuss matters of mutual interest, and to forge political or business alliances. 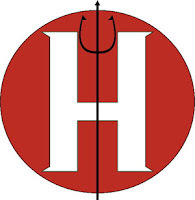 However, there exist a super-secret upper echelon of the Hellfire Club membership called the Inner Circle, unknown to society and the majority of Hellfire Club members, whose subversive members engage in a conspiracy to dominate the world through the accumulation of economic power and political influence. Members of the Inner Circle hold positions named after chess pieces to denote their standing within the organisation. The Hellfire Club Inner Circle now comprises of humans with 12 year-old billionaire, Kade Kilgore as the Black King. Kade eventually had members of the Inner Circle killed. The Inner Circle of the Hellfire Club was originally known as the Council of the Chosen and led by Edward 'Ned' Buckman. The members of the Council assumed the titles of the major chess pieces. With the assistance of probationary member Sebastian Shaw, Buckman financed a Sentinel program meant to create giant mutant-killing robots. 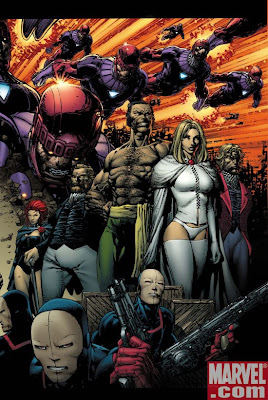 Shaw secured allies within the club, including Harry Leland, Emma Frost, Donald Pierce and his loyal assistant Tessa. Buckman saw no use for the dangerously-ambitious Shaw and ordered a Sentinel attack on him and his allies, resulting in the death of Shaw's lover, Lourdes Chantel. That night, Shaw and Frost purged the Council of the Chosen, remaking it as the Lords Cardinal and becoming the Black King and White Queen. The two groups allied after a battle with the futuristic Sentinel known as Nimrod resulted in the death of Leland and von Roehm. Magneto, now with the X-Men, and Storm took the shared position of White King. When the X-Men were believed dead, Magneto was left to deal with the Club. He led Frost and Black Queen Selene to expel Shaw from the club, assuming the role of Grey King. He eventually withdrew from the Club. Frost was rendered comatose during an attack by Trevor Flitzroy on her and her students, the Hellions. Emmanuel da Costa was also killed in this period of time. Sebastian Shaw's son Shinobi believed that he successfully assassinated his father, taking control of the Club. 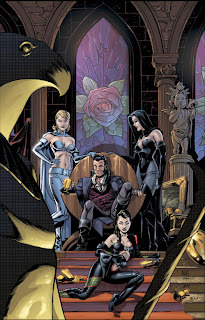 Sebastian Shaw re-emerged and retook control of the Hellfire Club, reforming the Inner Circle with Selene. Selene brought along Madelyne Pryor, the clone of Jean Grey, who was under her influence. Selene's control over Pryor waned and the Black Rook switched her allegiance to Shaw. Selene brought in Fitzroy and Tessa to counteract the changing balance of power. Pierce also returned as a probationary member but was expelled again soon after. Pryor eventually betrayed and deserted the club. Shaw resigned from the Inner Circle after receiving a mysterious offer and he advised Fitzroy to do the same. With Selene remaining as the sole member of the Inner Circle, she reformed the club in her own image. She brought in the former New Mutant Sunspot, offering the resurrection of his long-dead girlfriend, Julianna. Much later, Sebastian Shaw reformed the Inner Circle with him taking the title of Lord Imperial. However, he was attacked by Donald Pierce and was gravely injured. Meanwhile, Sage plotted Sunspot's ascension into the Club's Lord Imperial in order to keep the organization in check. 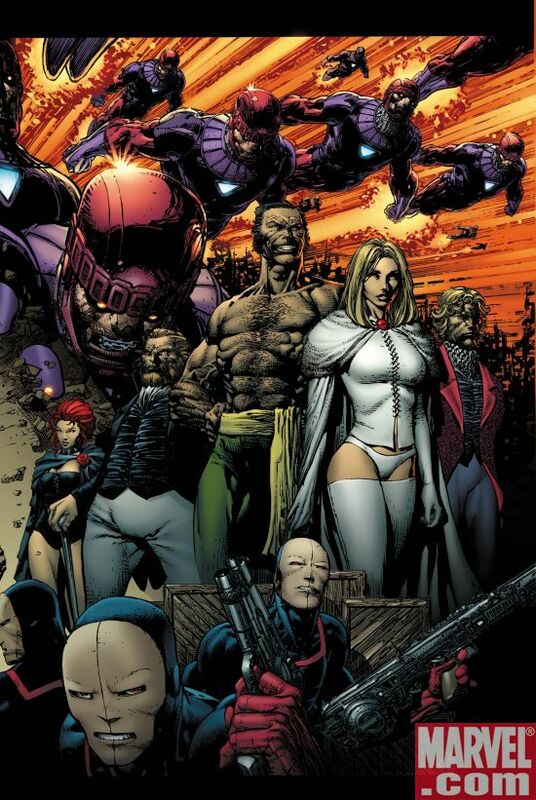 When Sunspot left the Hellfire Club to returned to the X-Men, Shaw took the chance to re-establish himself in the Inner Circle. 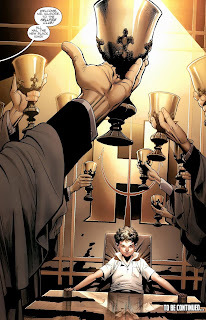 He brought in Ms Sinister (a pseudo-clone of the evil geneticist Mr. Sinister) and took over as Lord Imperial after the other Inner Circle members were killed by Wolverine. Shaw was eventually captured by Frost.